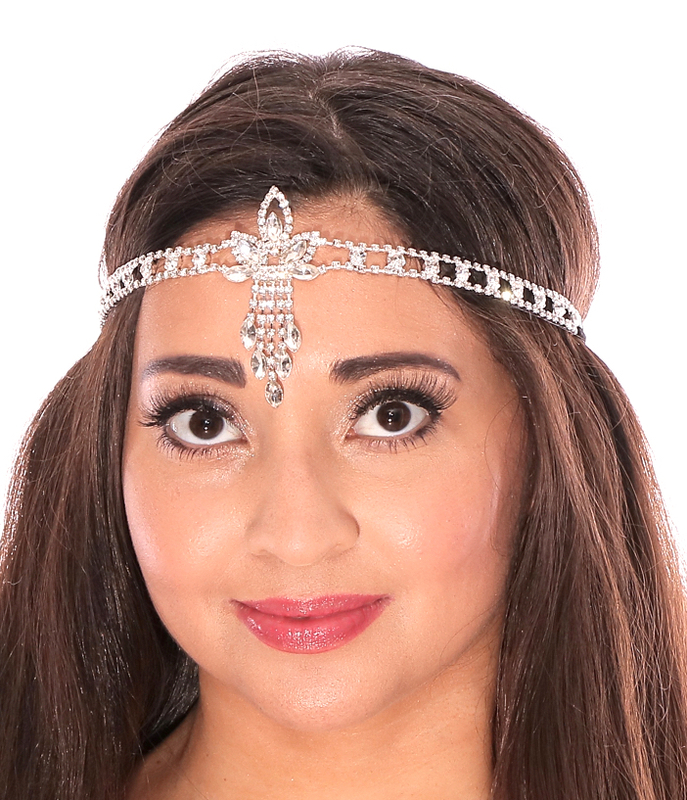 This stunning rhinestone headpiece with a lotus design and rhinestone fringe makes a beautiful and dramatic finishing touch for any Egyptian or Cabaret belly dance, Halloween, cosplay, burlesque, or stage costume! 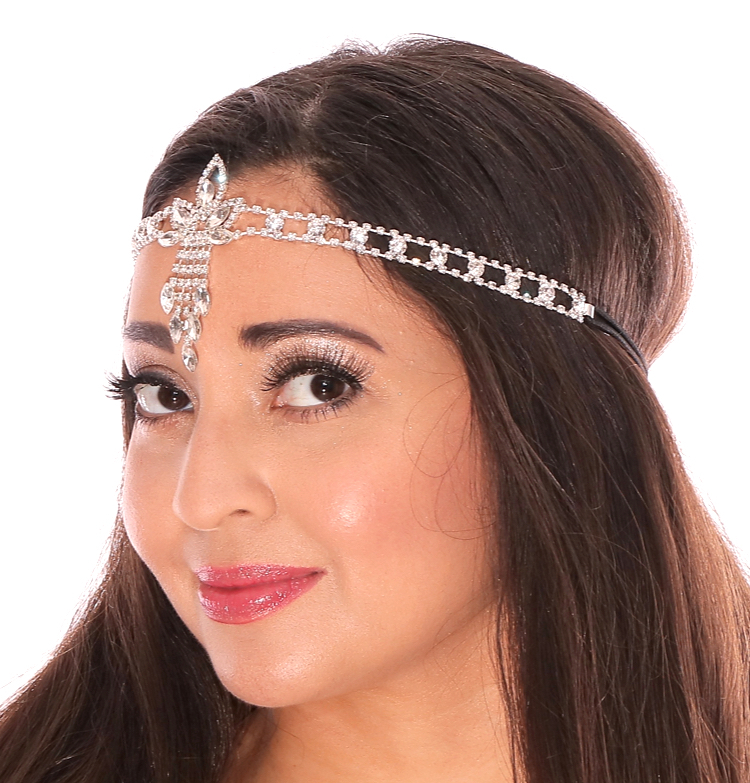 This stunning rhinestone headpiece with a lotus design and rhinestone fringe makes a beautiful and dramatic finishing touch for any Egyptian or Cabaret belly dance, Halloween, cosplay, burlesque, or stage costume! 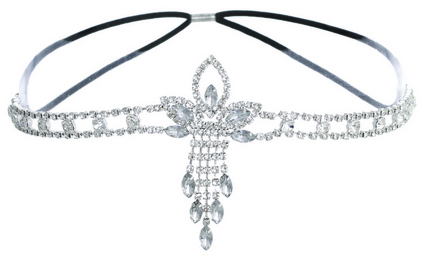 Also great for bridal jewelry. 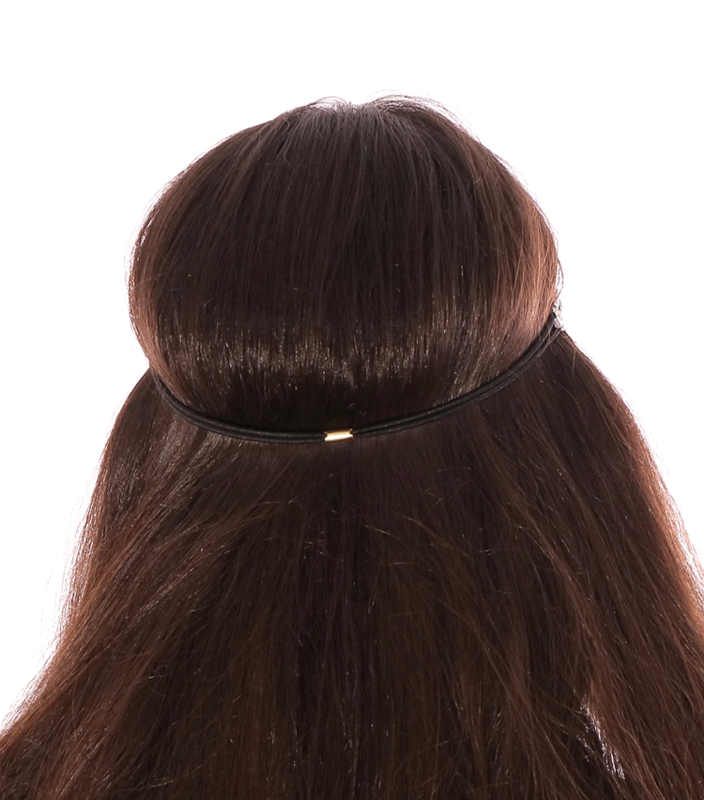 Has a black elastic backing for an adjustable fit.